The modern shed roof design is rapidly becoming one of our best selling styles. 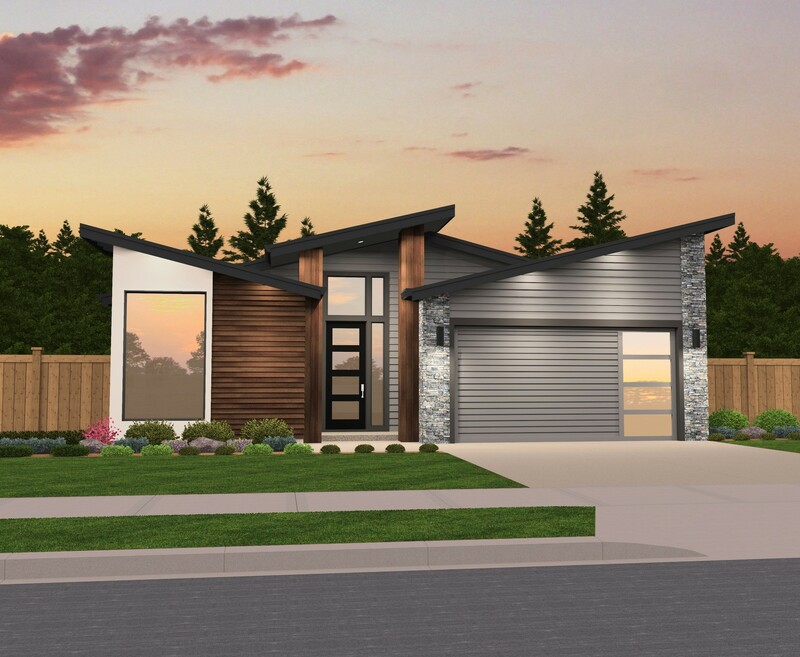 Omaha is a charming, functional, one story small house plan with a garage. Upon entering though the vaulted foyer there are two spacious bedrooms, a full bathroom and the utility room. The master suite is located in the rear of the home and features side by side sinks, private toilet, and a large walk in closet. Adjacent to the master suite is the dining nook and charming L shaped kitchen with corner pantry and large center island. Just off the kitchen is the great room, featuring a cozy built in fireplace and large windows allowing plenty of natural daylight to grace the home. Lastly, there is a covered patio located right off the dining nook, making indoor and outdoor entertaining a breeze. Small modern house plans are becoming increasingly popular for many reasons and now there is no need to sacrifice style and luxury while decreasing your global footprint. 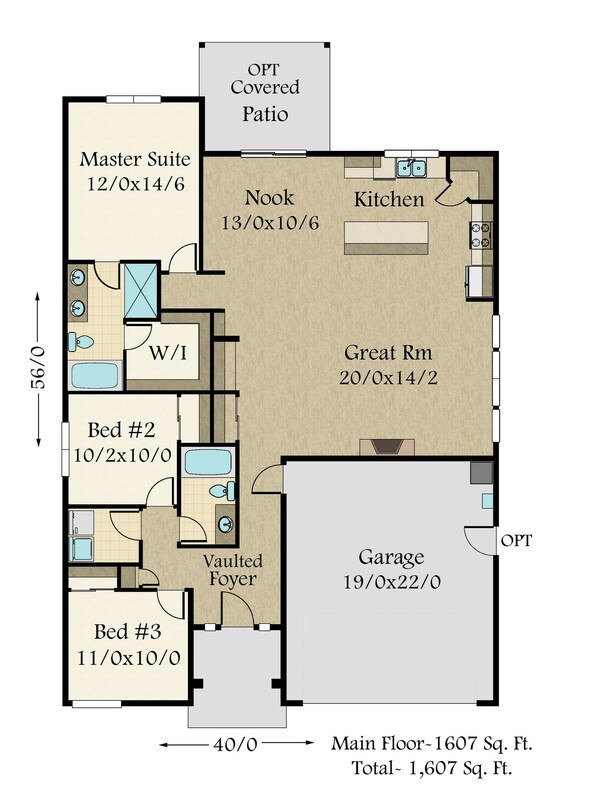 Be sure to check out our ever-growing collection of small house plans.